Did you see my post on Friday about the next round of the Beads & Lace Club? To celebrate the launch, I've got a discount running and it finishes today. 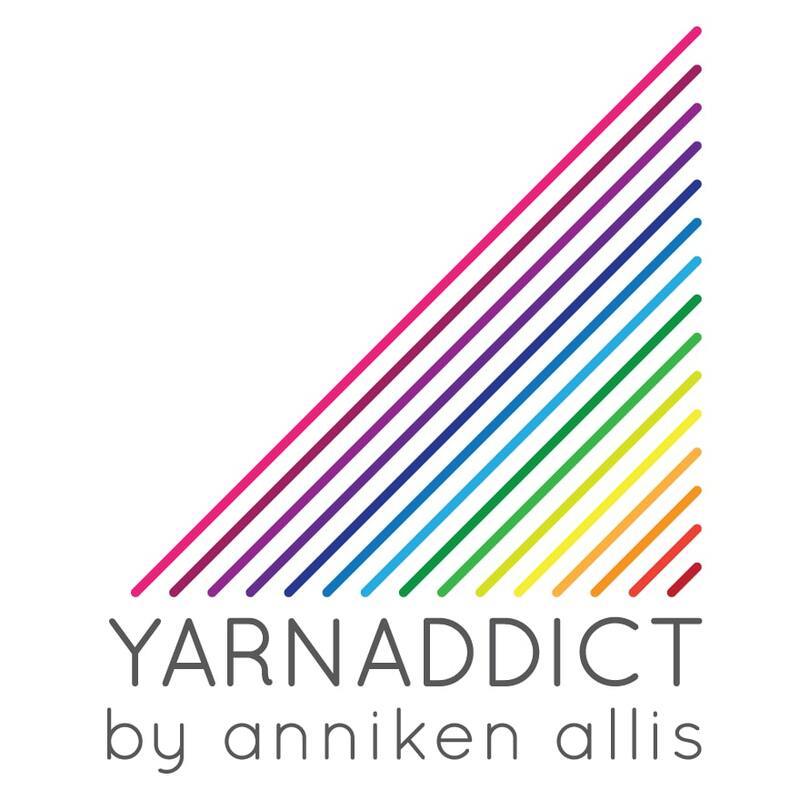 Use discount code: aprilbeads to get 10% off any YarnAddict order till midnight tonight, 20 April. You can use it on club memberships or yarn orders. On Saturday my new project bags arrived. There will be a larger size coming in May plus a tote bag but for now, I've got the small size of 'I'm a YarnAddict' project bags in stock. The bag measures 19.5cm wide and 23.5cm tall and is perfect for carrying a sock project or a one skein project on circular needles. Or why not use it for knitting notions? It can be ordered here or is free with orders over £30 (ecxl club memberships). Shows bag in proportion to two 50gr balls of Navia Duo (4ply). This weekend was a case of speed knitting at it's best. First thing Saturday morning I cast on for a new deadline shawl and late yesterday afternoon, I cast off the same shawl. It was one skein of sock yarn (400m/100gr) in Kettle Yarn Co Islington and a mix of easy lace and garter stitch. I know I knit fast but I also spent a lot of time knitting this weekend. I was in a lot of pain all weekend, my neck/upper back was very bad and I had severe headaches all day Saturday and most of Sunday. Saturday night I was awake for 3 hrs so got quite a bit of knitting done then too. When I'm in a lot of pain, all I'm fit to do is to sit in my comfy chair and knit. As long as I support my upper back/neck/head knitting easy stuff doesn't aggravate the pain. I started binge watching 'The Good Wife' on Netflix. I never watched it when it was on UK TV and I watched the Formula One race on Sunday and qualifying on Saturday. I must admit though, when I got back from church yesterday, I weighed the yarn I had left and I was surprised when I realised I had to start the edging or I'd run out of yarn. I immediately cast on for a new slip stitch project. This is the class project for my Slip Stitch workshop at Spin A Yarn next week. I'm not sure if the class is full or not, so if you're interested, contact Spin A Yarn to book. I also spent yesterday evening swatching for some new designs for a design submission which I need to e-mail off immediately after lunch today. I still have two swatches left to knit. I'm working on a very exciting project at the moment involving a weekend in Looe in October or November and lots of knitting. I'm hoping to reveal all later this week. I also found out over the weekend, that Amazon US is shipping my new book. Here's the UK Amazon listing. I'll be sharing more about the projects in the book later this week but if you're interested here's the Beaded Lace Knitting Look Book. If you're a UK yarn shop who wants to stock my book, contact Search Press who's the UK distributor.